For those of you who don’t know, RRCA is the oldest and largest national association of running organizations. RRCA has been dedicated to growing the sport of running since 1958. In 2016, RRCA had 1,126 running clubs nationally, with over 275,000 members, and 1,378 event management companies. In Maryland there were 23 clubs and 34 event management companies. The goal of the RRCA Runner Friendly Community program is to shine a spotlight on communities that stand out as runner friendly. Runner friendly communities can increase the quality of life, improve physical activity for residents, and have a positive economic impact for the community. 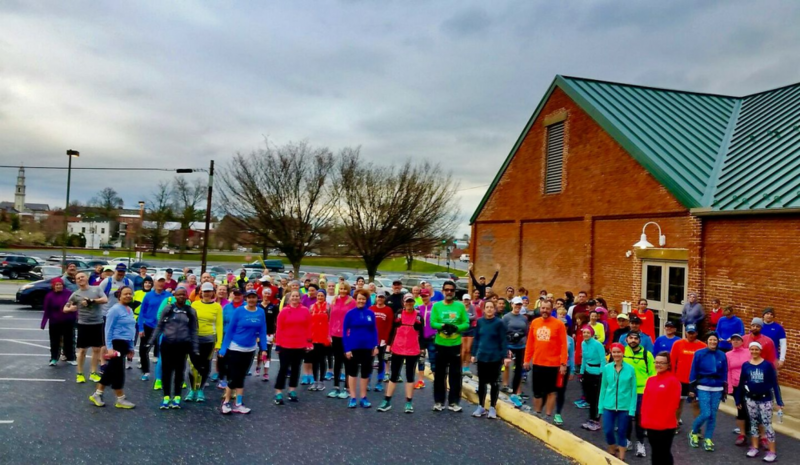 There are currently 47 Runner Friendly Communities nationwide, and only one in Maryland (Annapolis). The goal is to verify that the community works together to promote running as healthy exercise for residents while ensuring runner safety. For community infrastructure, the application needs to show that there is a clear network of sidewalks, multi-use trails, paths, share lanes, etc., such that a person can complete 3-10 miles of distance before the network completely ends. Ideally there should be water fountains, bathroom facilities and parking along the trail system. For community support, the community should be home to one or more nonprofit RRCA running clubs (that’s us! ), a specialty running store and other “runner friendly businesses.” Runner friendly businesses may host group runs, offer discounts to local running club members, allow runners to use bathroom facilities, etc. For government support, local agencies and officials should be working closely with the running community. Permitting for races on desirable race courses is one of the things RRCA wants to see. Reasonable liability insurance requirements, law enforcement involvement, etc., are others. There are additional criteria such as the existence of youth running programs, “rails to trails” planning, dog friendly water fountains, local community involvement via volunteerism at running events, among other things. 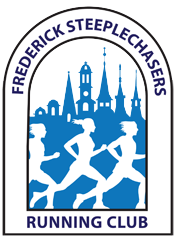 FSRC believes this program would be win-win-win for Frederick, local business and local runners. We are leading the effort to pull together the application and are working with government officials to gain their support and answers to any of the application questions for which the government would be more equipped to answer. The city’s Bicycle and Pedestrian Advisory Committee as well as the County Executive’s office have been briefed and are involved in the application process. We are currently pulling together the application, which we hope to be able to submit by June 30. Getting this designation would be very exciting for me personally, and I hope for the club and the community at large. We on the board think we have a good shot, and there seems to be some excitement among government officials we have approached as well. ← The FSRC Store is Now Open!